参考文献：N. Damera-Venkata, T.D. Kite, W.S. Geisler, B.L. 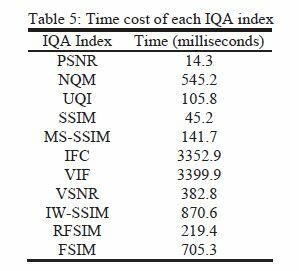 Evans, and A.C.Bovik, “Image quality assessment based on a degradation model,” IEEE Trans. IP,vol. 9, pp. 636-650, 2000. 参考文献：Z. 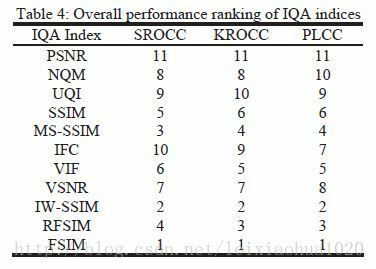 Wang and A.C. Bovik, “A universal image quality index,” IEEE SignalProcess. Lett., vol. 9, pp. 81-84, 2002. 参考文献：Z. Wang, A.C. Bovik, H.R. Sheikh, and E.P. Simoncelli,”Image qualityassessment: from error visibility to structural similarity,” IEEE Trans. IP,vol. 13, pp. 600-612, 2004. 参考文献：Z. Wang, E.P. Simoncelli, and A.C. Bovik, “Multi-scale structuralsimilarity for image quality assessment,” ACSSC’03, pp. 1398-1402, 2003. 参考文献：H.R. 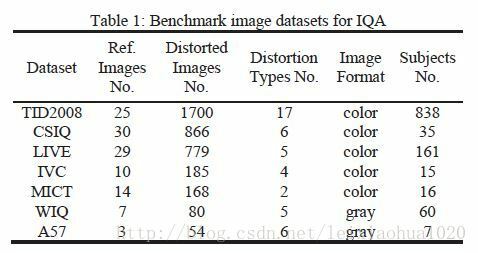 Sheikh, A.C. Bovik, and G. de Veciana, “An information fidelitycriterion for image quality assessment using natural scene statistics,” IEEETrans. IP, vol. 14, pp. 2117-2128, 2005. 参考文献：H.R. Sheikh and A.C. Bovik, “Image information and visual quality,”IEEE Trans. IP, vol. 15, pp. 430-444, 2006. 参考文献：D.M. Chandler and S.S. Hemami, “VSNR: a wavelet-based visualsignal-to-noise ratio for natural images,” IEEE Trans. IP, vol. 16, pp.2284-2298, 2007. 参考文献：L. Zhang, L. Zhang, and X. Mou, “RFSIM: a feature based imagequality assessment metric using Riesz transforms,” ICIP’10, pp. 321-324, 2010. 参考文献：L. 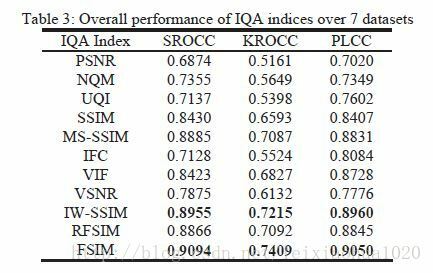 Zhang, L. Zhang, X. Mou, and D. Zhang, “FSIM: a feature similarityindex for image quality assessment,” IEEE Trans. IP, vol. 20, pp. 2378-2386,2011.